Lil Durk who was born as Durk Banks is a black rapper from the United States. He started his career in 2011 when he released the mixtape I’m a Hitta as a digital download. For his musical contributions, he was nominated with the “Best Rapper of 2016” award. Starting from 2011, Lil Durk has also had a fair share of legal issues. Mostly, he was arrested or questioned by police authorities for gun charges. Lil Durk went to the Paul Robison High School. However, he dropped out of the high school in the 10th grade. Siblings – D Thang (Brother). He also has two sisters also. 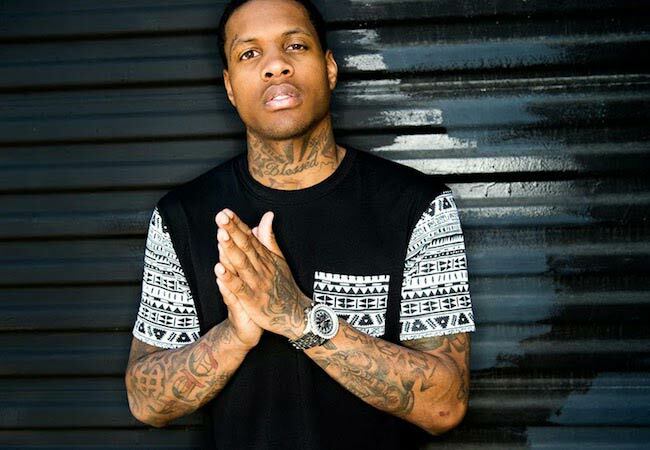 Lil Durk is represented by his own agency, Lil Durk Management. Nicole Covone (2008-2013) – Lil Durk got involved with Nicole Covone in the summer of 2008. They reportedly got married soon after. 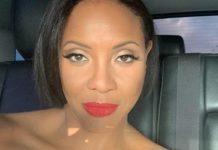 She gave birth to their first son when Lil was 17 years old. 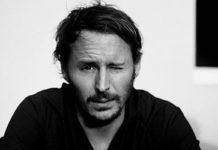 Also, he decided to change his lifestyle and become more serious about his work after the birth of his son. Overall, Durk and Covone have two sons named Zayden and Angelo. They also have a daughter named Bella. Dej Loaf (2014-2016) – As per reports, Lil Durk started going out with fellow artist Dej Loaf in August 2014. However, their relationship wasn’t taken seriously until he kissed her on the stage. 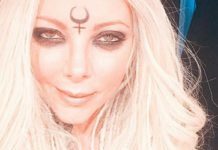 It was widely assumed that it was a mere stunt to grab attention on the social media. Their collaboration single, My Beyoncé, was released in November 2015 to critical acclaim. Their relationship came to an end by the end of 2016. He later revealed that they were too busy with their respective careers due to which they didn’t have much time for each other. 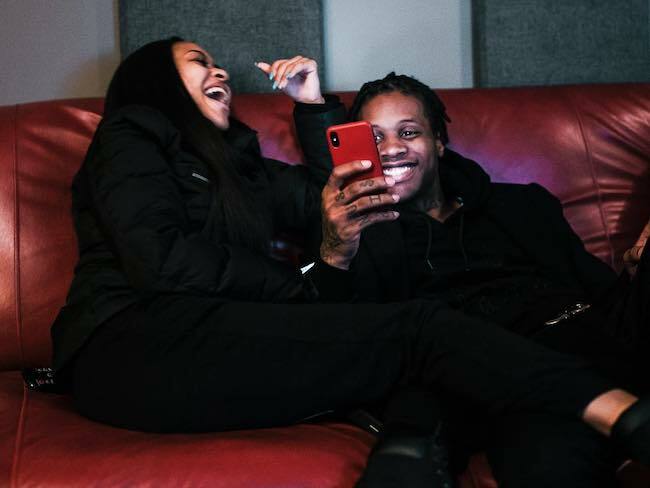 India Royale (2017-Present) – Towards the end of 2017, Durk was reported to be going out with social media personality, India Royale. The basis of these relationship rumors was that they were seen together in a snapchat video. They eventually made their relationship public. She has even got his name tattooed with a heart on the left side of her torso. Having released couple of commercially successful and critically acclaimed singles such as My Beyoncé and Like Me. Having collaborated with established hip hop stars such as French Montana, Lil Reese, and Meek Mill. In June 2015, Lil Durk released his debut studio album, Remember My Name. The album sold 24,000 copies within the first week and peaked at #14 on the Billboard 200 music charts. Lil Durk hasn’t been cast in any theatrical film till date. In 2016, Lil Durk made his first TV show appearance on the music show, Revolt Sessions. Lil Durk’s favorite things are unknown. After dropping out of school in the 10th grade, he started participating in gang activities. While he was studying in high school, he was a member of the school’s basketball team. He was raised in the rough neighborhood of Englewood in Chicago. The violence and gang crimes are a part of the daily life in Englewood. When he was 17 years old, he was put in a prison on gun possession charges. Very early in his career, he relied on social media platforms such as YouTube and Myspace to launch his career. In fact, when he got a positive response on the music video that he had created at the age of 14 or 15, he realized that he would get somewhere with music. After receiving positive feedback on his singles – Sneak Dissin’ and I’ma Hitta, he decided to make rapping his full-time career. In his teens, he was a member of the Jesse White Tumblers, which is an Illinois based team of acrobats. 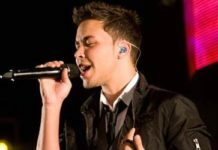 His first ever public performance was in 2011 at Club Adrianna’s in Chicago. Early in his career, he was affiliated with Glo Gang, a record label run by fellow Chicago based rapper Chief Keef. However, he never signed a record deal with them. In 2013, he signed a joint venture deal between his record label “Only the Family” and “Def Jam Recordings”. In March 2015, his manager Uchenna Agina (better known as OTF Chino or Chino Dolla) was shot and killed while sitting in a car outside a restaurant in Chicago. He was repeatedly shot with one bullet hitting his head. In 2011, Lil Durk was arrested by the authorities on the gun charge and was eventually sentenced to serve 3 months in jail. He was eventually released on a bond but was later sent back to serve 87 days more in the prison. 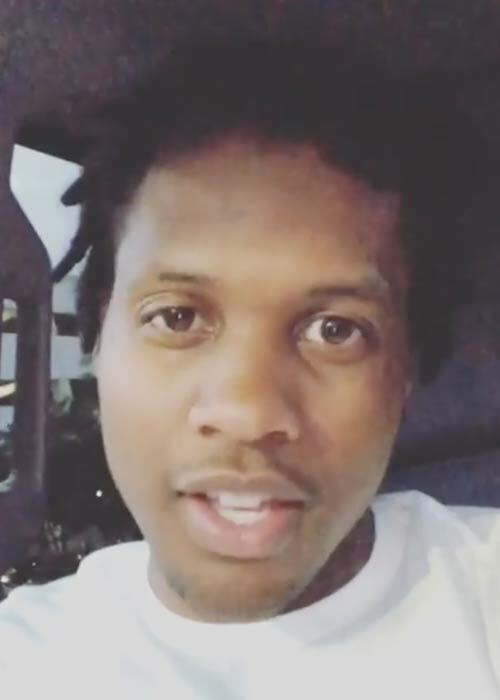 In June 2013, Lil Durk threw his loaded handgun into his car after police approached him in Chicago, leading police to arrest him and charge him with unlawful possession of a gun by a felon. Soon after, his lawyer presented with 9 affidavits from witnesses corroborating his innocence. One of the witnesses even claimed that the gun was his after which he was released in July 2013. 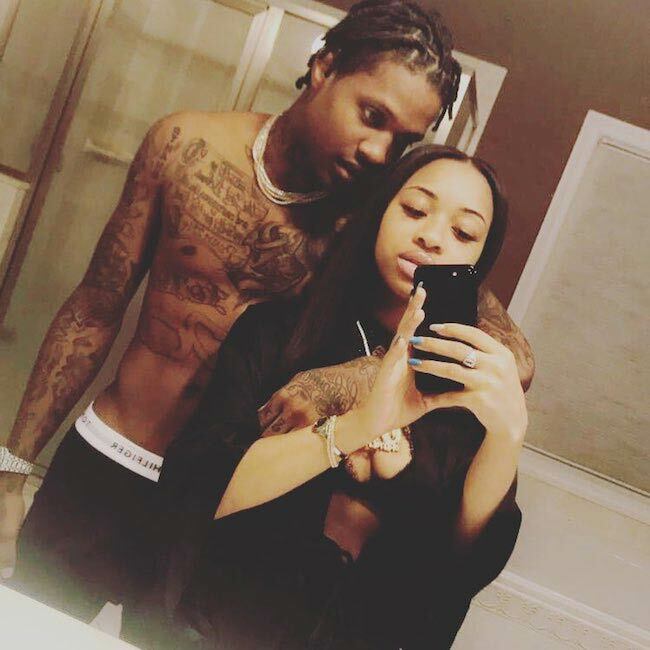 In 2014, his house was searched by the authorities after a second-degree murder convict claimed that Durk had guns at his place. In 2014, his cousin McArthur Swindle was shot dead by mobsters in Chicago. He was a member of Only the Family crew. In 2016, he was arrested on felony gun charges but was cleared of disregarding probation in August. The felony gun charges were later dropped by the judge. Visit his official website @ officiallildurk.com.